Devin Graham Signature Series (Refurbished) - Glidecam Industries, Inc.
Glidecam Industries, Inc., in association with Devin Graham, the international, internet and YouTube sensation, whose staggeringly popular videos now have more than 540 million total views, accompanied by over 3 million individual subscribers, are pleased to announce the release of the Glidecam DEVIN GRAHAM Signature Series, professional, hand-held camera stabilizer. 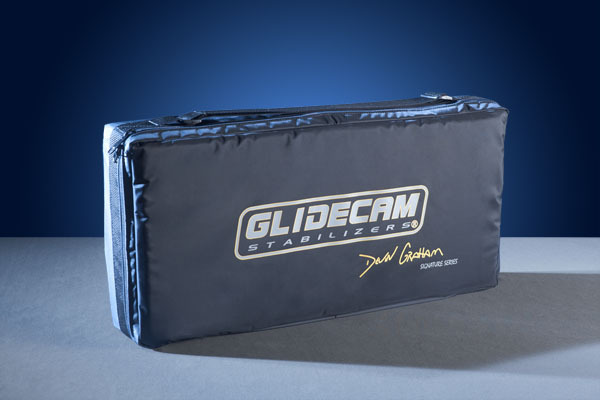 Jointly developed by Glidecam and Devin Graham, the DEVIN GRAHAM Signature Series combines the best features of our popular HD-Series with the high-end professional features normally found exclusively on the camera sleds of our more elaborate body-mounted systems. The DEVIN GRAHAM Signature Series will transform your hard to watch, shaky camera footage into hypnotically smooth, professional footage. The DEVIN GRAHAM Signature Series works so well that it allows you to shoot incredibly smooth and graceful shots even while going to extremes like running up and down stairs or traveling over rugged terrain. And when it comes to normal shooting, like walking or moving the camera slowly around someone, the results are equally magical. Shot after shot, move after move, the Glidecam DEVIN GRAHAM Signature Series Stabilizer delivers beautifully smooth and professional results. With the Glidecam DEVIN GRAHAM Signature Series you no longer need a tripod or a dolly. All you need is your Imagination! 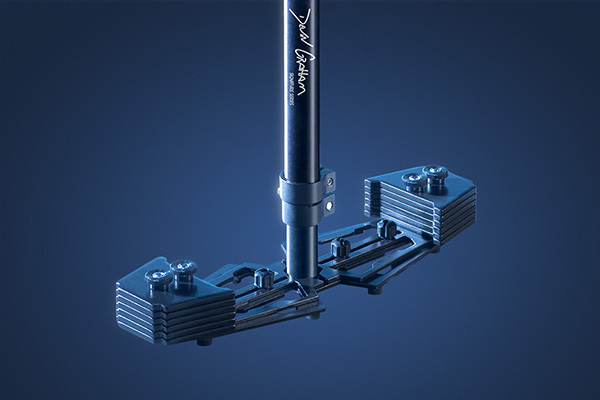 The precision, Camera Balance Platform (X-Y Head, or Top Stage) incorporates a quick-release, no-tools, slide-in Dovetail Camera Plate, Brass Alignment pin, Spring Loaded Quick Release Plate Lock, Push Button Quick Release that allows you to quickly attach or remove your camera. Ergonomic, fine-tuning, control knobs allow quick and precise adjustment of the Camera Balance Platform’s front-to-back and side-to-side movement. These controls allow you to quickly adjust the system’s horizontal balance. 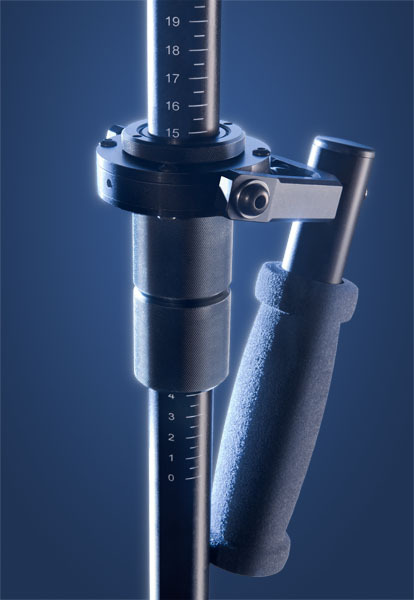 A unique and proprietary, precision, no-tools, positionable Three-Axis Gimbal incorporates several adjustable, axis convergence controls. This allows all three axes to intersect for proper operational alignment. By changing the location of the Gimbal on the Central Post, you can quickly adjust the system’s vertical balance. This also allows for fast and easy setup of Low Mode operation. The unique and proprietary, Dynamic Base Platform is designed to manually expand or contract. This allows you to easily adjust the system’s dynamic balance, or to increase or decrease the system’s rotational pan inertia. 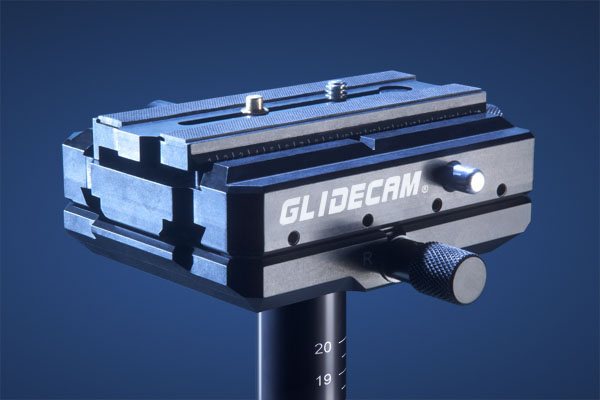 The Glidecam DEVIN GRAHAM Signature Series Dynamic Base Platform has a 1/4″ mounting hole for mounting a monitor. Includes Video Tutorial with Frequently Asked Questions, answered. Laser engraved, central post guide scale markings. Weight: 2.11 pounds (0.95 kg.) without Counter Weight Plates. The Glidecam DEVIN GRAHAM Signature Series includes 12 custom Counter Weight Plates. 12 Counter Weight Plates = 3.264 pounds (1.48 kg.). Camera Mounting Plate has 1/4” mounting screw. Engineered and Designed in Massachusetts, USA.